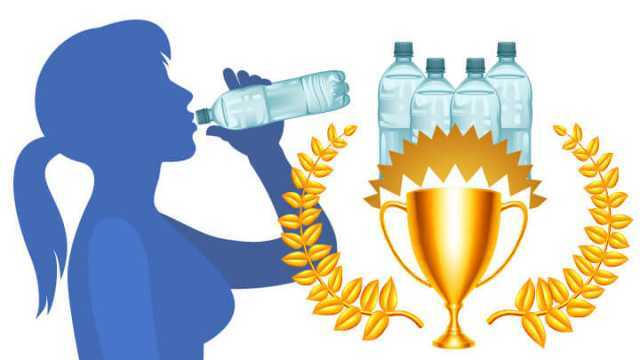 Is The Gallon-A-Day Water Challenge A Good Idea? As word spread that Beyonce drinks a gallon of water a day, that’s all people needed to know. Since then, the Internet has been flooded with personal accounts of individuals sipping out of their large gallon jugs, marked with time-sensitive goals. It’s clear that we need plenty of water in order to maintain positive health, but can you actually drink too much? Considering dehydration is a common issue in the United States, you would think that a gallon of water a day would be ideal. But is there more that meets the eye regarding this level of consumption? Is it possible to do more harm than good? These are some of the general takeaways, but it’s important to note that everyone is unique in terms of their recommended intake of water. A female who is 120 pounds and inactive, for instance, will require less water than a 170-pound male athlete. In some cases, a gallon of water a day may be beneficial. For others, it could be dangerous, especially under certain circumstances. For example, many people report that the challenge results in clear urine, which isn’t actually a good thing. If your urine is clear, it’s a sign that you’re overhydrated — it should be closer to straw colored. Drinking too much water can be harmful to your health. As mentioned, most individuals worry about dehydration. This is a valid concern, considering water is essential for every cell in our bodies. Without it, our bodies cannot function, which is why we begin to experience distressing symptoms when we don’t drink enough quality H2O. We’ve all been there. We go through the odd day without drinking enough water and begin to experience headaches and fatigue. Dehydration is a well-known and surprisingly common concern, but did you know that overhydration can be equally dangerous? Believe it or not, if you drink too much water, this can lead to water intoxication. This will mean more than an increase in bathroom breaks, as increasing levels of water, can result in decreasing levels of salt in the blood. This is what’s known as your electrolyte balance. It’s also important to note that the more rapidly you consume water, the faster your sodium levels will drop. This can lead to symptoms such as dizziness, confusion, nausea, headache, restlessness and in severe cases coma. As mentioned, athletes often require a greater intake of water — but can you get too much of a good thing? 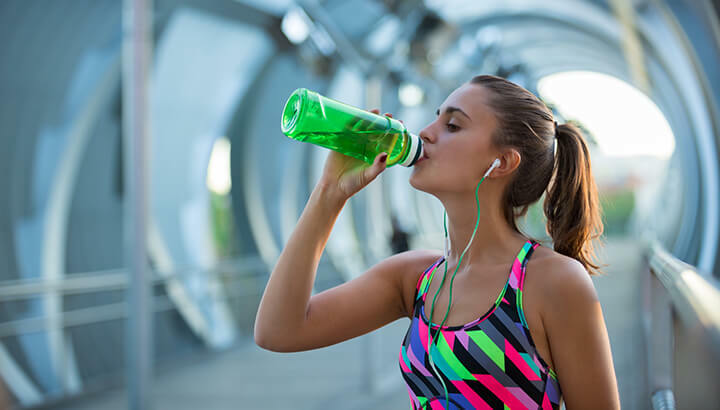 Within one key review, published in the British Journal of General Practice, researchers examined the dangers surrounding water intoxication in endurance sports. In 2005, four runners died in the Great North Run. Following this event, the Sports Minister advised endurance runners to drink more water. This makes sense, right? Based on this practical advice, it seemed like a paradox that the medical director for the 2005 New York City marathon began extensively advising athletes to limit their fluid intake to no more than 750 milliters per hour. What you may not know is that GPs often attend these large athletic events in order to educate athletes about the effects of hyponatremia, a condition that results when sodium in the blood is abnormally low. As discussed, some cases can be more dangerous than others. For those who take medication for high blood pressure, for instance, these drugs can exacerbate the problem. Diuretics and pain medications can also cause sodium levels to drop. When combined with an excessive intake of water, symptoms can quickly develop. Check the color of your urine to find out if you’ve been drinking too much water. Drinking a gallon of water a day does offer some key benefits. But, in many cases, you do not require that much. It’s critical that you monitor your intake based on your body’s reaction. Also, it’s highly recommended that you drink warm salt water each morning — made with unrefined, mineral-rich salt. Transparent: If you are drinking a gallon of water a day, you will likely experience super clear urine. This means that you’re drinking too many fluids. Although this may indicate that more serious health issues have developed, more often than not, you’re overhydrated. Dark yellow: This is still considered to be within the normal range. However, as your urine darkens, becoming honey or amber colored, you need to increase your intake of fluids. Drink more water immediately to see if your urine returns to a normal straw or faint yellow color. Brown: At this point, you are seriously dehydrated. Once again, immediately drink water and monitor your urine. If it remains dark, this could be a sign of liver problems, so it’s best to seek an immediate professional opinion. Light pink to red: One night I ate a whole bowl of pickled beets. After going to the bathroom, I was immediately alarmed! My pee was pink, which is common after eating certain foods or taking certain medications. In some cases, however, it may be a sign that there’s blood in your urine. If you cannot pinpoint the natural cause, and you are experiencing other distressing symptoms, it’s best to consult with your physician. At the end of the day, in terms of this challenge, you don’t need to carry around a gallon of water every day and force yourself to get it all down. A good rule of thumb is to drink half of your bodyweight in ounces each day. So if you’re 150 pounds, you need to drink around 75 ounces — or around nine cups. This includes cups of herbal tea. Of course, if you’re active, you’ll need to increase your intake slightly. Just remember to monitor your body so that you can maintain an optimal electrolyte balance. This means not only focusing on your intake of water and sodium, but also refueling after exercise and keeping a balanced diet. If you want to try this challenge to achieve clearer skin, lose weight or increase energy levels, all of these health-related goals can be reached through a cleaner, balanced diet. When you eat right and drink enough water, you will naturally experience improvements — without needing to force feed yourself a gallon of water each day. Give your body what it needs, and it’ll do the rest. Previous articleDoes Your Pot Contain Pesticides? Hey Buddy!, I found this information for you: "Is The Gallon-A-Day Water Challenge A Good Idea?". Here is the website link: https://www.thealternativedaily.com/is-the-gallon-a-day-water-challenge-a-good-idea/. Thank you.